Syrian political circles on Tuesday revealed an upcoming visit by Syrian President Bashar al-Assad to Iraq, while revealing the pressure exerted by Washington on Iraq. According to the Lebanese newspaper. 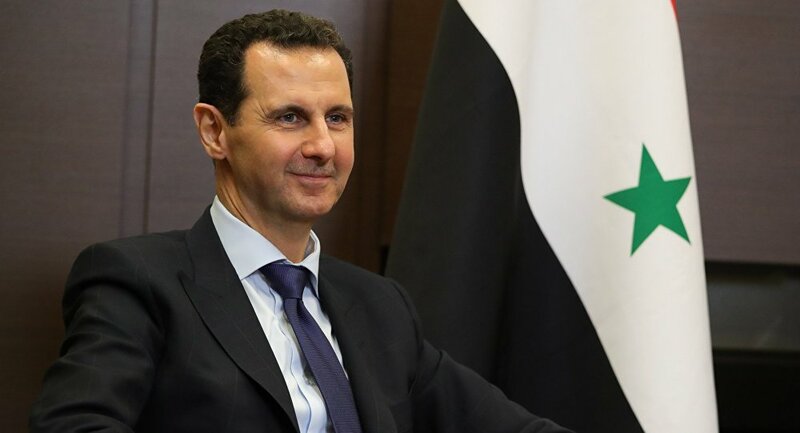 "According to the information after the successful visit of President Hassan Rowhani to Iraq, an official visit to Syria by Syrian President Bashar al-Assad is being finalized," the newspaper said in a report released today. That "Iraq is going to deepen its relations with the Syrian regime in an accelerated manner." She added that "the national security adviser Faleh al-Fayadh on the line of arrangement of its agenda with the Syrian side," indicating that "those circles refused to talk about a specific date for the visit, but talked about the high level of US pressure on the Iraqi state." expressed their support for the opening of the border crossing with Syria during In the coming days, after meeting with his Syrian and Iranian counterparts in Damascus. "We will witness in the coming days the opening of the border post between Syria and Iraq and the resumption of visits and trade between the two countries," Al-Ghanmi told a news conference with his counterparts.